Both Infusionsoft and Ontraport are quality all-in-one e-commerce and email marketing programs; though, each has their own advantages and disadvantages. Take a look at this comparison Infusionsoft vs Ontraport. It will help you make the right decision. Requires time to learn all the features. Steep price for starting packages and training. Manage e-commerce marketing and affiliate marketing campaigns. Includes a free WordPress plugin for creating a members-only section. Fairly affordable compared to other options. The overall user interface is not very user-friendly. This software does not offer as many additional features as Infusionsoft. For businesses that have the money to afford Infusionsoft, this software is pretty much top of the line. The complex creation of marketing campaigns can be fully explained during the exhaustive one-on-one training. Ontraport may not be as versatile as Infusionsoft; though, it does provide more features than the free options out there. When you are looking for a robust marketing automation program that will not break your bank, give Ontraport a try. Both programs have a fairly well-planned user interface. Ontraport slightly edges out Infusionsoft in this category by providing a simpler layout. Ontraport has a modern interface that is easy to understand and much less intimidating. 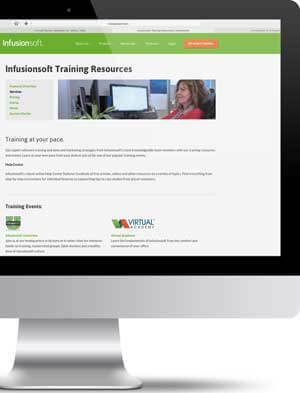 In-depth training is one of the main selling points of Infusionsoft and explains the hefty price tag. Ontraport also has an extensive amount of online resources and individual training. Infusionsoft Offers One-On-One Training With Infusionsoft, you can actually get one-on-one training to fully understand the complex user interface. As mentioned, Infusionsoft can be a bit more costly when getting started – if you choose one of the training packages. The additional features are never ending when it comes to Infusionsoft, which is another high mark for this program. With Infusionsoft you will get a visual campaign builder, a drag and drop landing page editor, and a large variety of triggers. While both programs offer decent customer support, Infusionsoft again takes this category with fast response to any of your questions. In fact, with Infusionsoft you can actually talk to a program specialist over the phone. 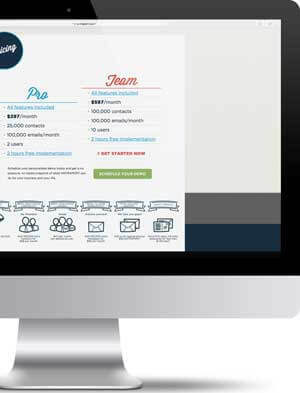 When it comes to campaign management, both programs are detailed and offer everything you need to automate your marketing campaigns. The main difference here is the visual campaign builder used by Infusionsoft which helps makes their abundant features easier to understand. It Comes Down to Preferences For campaign management, it will really depend on your preferences. If you enjoy having a large amount of features, then Infusionsoft has you covered; though, Ontraport also has a smooth interface for managing your campaigns. When all is said and done, Infusionsoft beats out Ontraport slightly with a score of 4.0 to 3.7, based on the average of each category. Here are my final thoughts on these two marketing automation programs: Infusionsoft Infusionsoft is the more dynamic of the two, with one-on-one consultations to get you started. 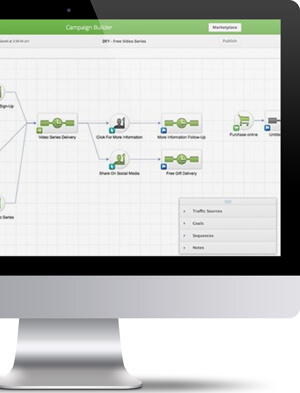 Easily track conversion rates and fine-tune your marketing approach. Ontraport Ontraport is more user-friendly at the cost of not including as many features. This is a great program for those that are new to marketing or want to get started quickly. In the end, the difference between the two comes down to cost and versatility. Infusionsoft is more expensive with more options while Ontraport is more affordable when getting started and easier to learn how to use. Just getting started with an eCommerce biz. Using Amazon and a few Social Media sales channels. In set up mode for next 60 days. Selling health supplements. Any suggestions on which one to use at this stage of my business? 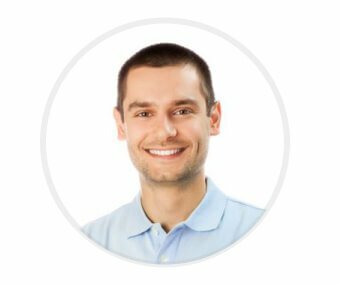 “The overall user interface is not very user-friendly.” You are talking about Ontraport. Then on side by side comparison you say Ontraport is better than Infusionsoft. To be honest I use Ontraport and the user experience is quite horrible. Its a design from the 80s. I represent Global college coaching service for upward rising highschoolers the desire entrance into one of 3500 institutions in this country. Plan to use database of how to workbooks and podcasts that mom and dad as well as the college-bound student use through their Journey from freshman through senior year of HS. Currently have 20,000 prospects pinging our website daily. Would like to monetize the interest including parents from overseas who desire admission to schools like Ivy League. So which e-commerce CRM are you recommending? 2 visitors rated Infusionsoft vs Ontraport average 5.0 stars out of 5.